The stained glass window was installed and on 25 Novemeber 2012 it was blessed at a special celebration service by The Rt Rev James Langstaff, Bishop of Rochester. Read about the project below and visit our Facebook Page for more information. 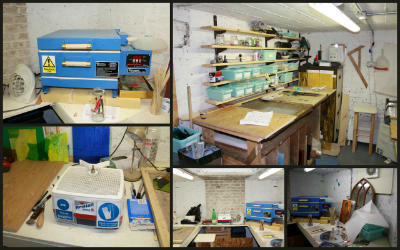 In a small but well equipped studio beneath St Mary’s Church something unique is happening. It is here that, one by one, hundreds of pieces of glass are being cut and prepared to form the new stained glass window in the Church. It is a painstaking process as each piece is carefully cut by hand to an exact pattern. 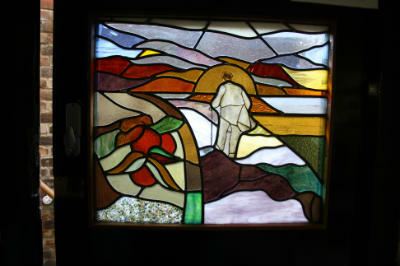 When completed the assembled pieces will form the 3 meter diameter window high above the front entrance of the church. But the story of the window started long before the first piece of glass was ever cut. It has to be said that architecturally speaking St Mary’s is a little stark. 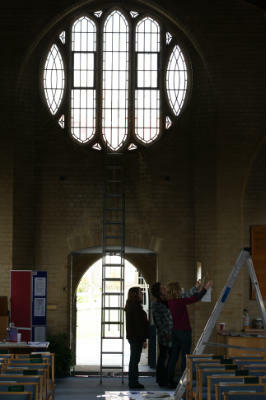 Built in 1937 in a functional style using a brick which echoes the Anglican Cathedral in Liverpool, the church has many large but plain glass windows. A later addition of a Choir and Lady Chapel allowed the installation of a large stained glass cross which provides a startlingly beautiful burst of colour as the rising sun shines through it. This glorious feature serves to emphasis the plainness of the remaining windows and especially the one over the entrance to the church. Soon after taking incumbency the Vicar, Karl Carpani had the idea that this window could be replaced with something in stained glass but it took some time before the opportunity arose to realise the plan. 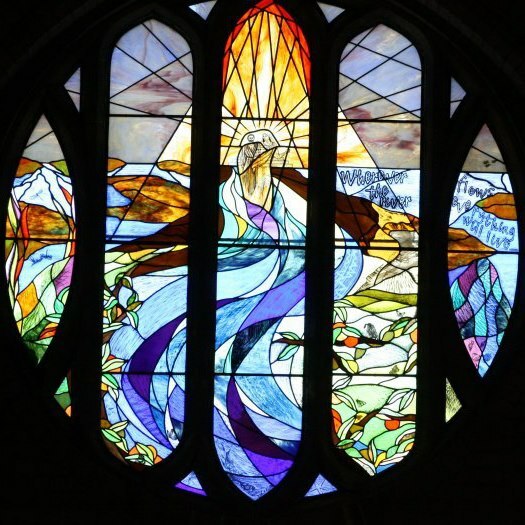 2012 is the 75th anniversary of St Mary’s and installing a stained glass window would be a wonderful project to glorify God and mark 75 years of continuous worship. Choosing the right design for the window would be a challenge in itself but it soon became clear that the costs of having it made and installed would be far too high. 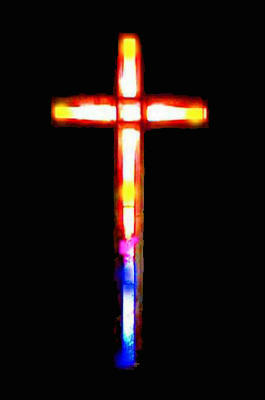 This is where God stepped in. The answer was for the congregation to do it all. St Mary’s has a flourishing art group who have the skill and dedication required but it still took a long time and a lot of effort to get the project moving. The design had to be developed and approved by the Diocese and the key members of the art group had to be trained and produce test pieces to satisfy the Diocesan expert that they could actually do it. It was particularly difficult because as far as anyone can tell this DIY approach to such a project is unique. 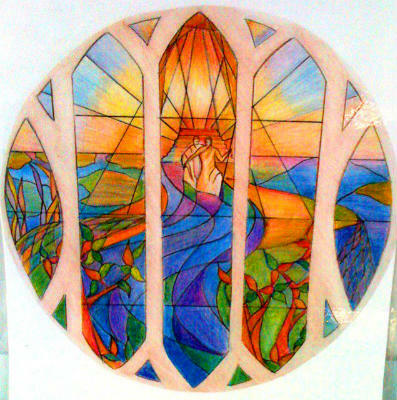 The design of the new window is based on Ezekiel 47 and will contain the words : "wherever the river flows it gives life to everything". But now after all the problems it is under way and the new window will be installed in time for a service of dedication in November.